Change your password, connect your personal and work accounts, or switch your preferred language. 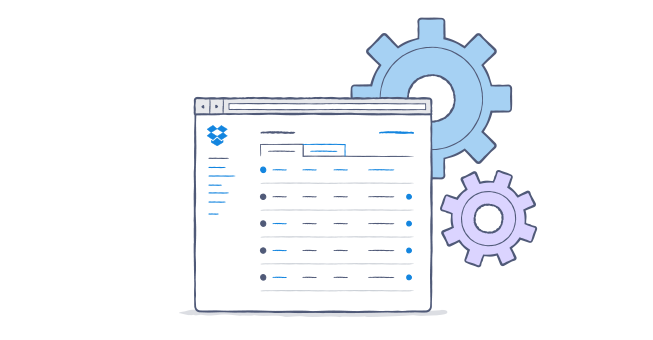 It's easy to manage your account settings from the Dropbox website. The only thing to remember is that with a Dropbox Business account, only your admin(s) can change the email address associated with your account. Update your personal email address. Administer the computers linked to your Dropbox account from the Security tab. View and administer the third-party apps linked to your Dropbox account via the My apps tab. Disconnect your personal and business Dropboxes on the Profile tab. Enable two-step verification on the Security tab. Change your language preference on the Profile tab.